It may not be due to something you did wrong. It may even be triggered by an IRS error. But there are ways to reduce the chances of getting that dreaded letter. There's no sure way to avoid a tax audit. Well, actually, there may be, but I don't recommend it. I know a preparer who suggests avoiding an audit by underpaying income tax by $10. While those dollars are outstanding, the return goes to collections, which minimizes, according to him, the opportunity for the audit division to focus on your return. The penalties and interest on the $10 owed are considered minimal insurance to shrink your exposure. Most audited tax returns are selected for review either because the filer is part of a target group or because a computer program selects the return. The computer system selects many returns randomly, but there are red flags that will draw the Internal Revenue Service's attention. The biggest reason people receive letters from the IRS is addition or subtraction goofs. Fortunately, math errors rarely lead to a full audit. Still, double-check your math before you send in your return. And if you receive a letter from the IRS saying you owe money, check your numbers first. Sometimes, an IRS employee misreads one of your numbers, or the number is keyed incorrectly into the IRS computer system. If the agency is wrong, send a letter with a printout of your calculations. If the amounts reported in supporting documents don't match the amounts on your return, you will get a letter. There are lots of possible errors here. Sometimes, the IRS will enter Form 1099 information (investment, interest and other nonwage income) into its computers and erroneously key in the income amount or the Social Security number of the recipient. If the income isn't yours, get a letter from the bank or other payer and forward that letter to the IRS. If the amount is incorrect, send a copy of the Form 1099 mailed to you by the payer. agency has also pinpointed small-business owners and the self-employed. Never brag about how you put one over on the IRS. Internal Revenue Service whistle-blowers can earn rewards of 15% to 30% of the additional tax collected, including fines, penalties and interest. Scofflaws can be reported by filing Form 211 (.pdf file) or calling the IRS hotline at 1-800-829-0433. Everyone else: Zip it. Keep your accounting strategies to yourself. An IRS computer program compares your deductions with others in your income bracket and weighs the differences. This secret IRS formula, called the DIF Score, is used to select returns with the highest probability of generating additional revenue through audits. Use TurboTax's deduction finder to make sure you're getting all the savings you deserve. Let's face it: Some tax preparers are less than professional. Some, unfortunately, are crooks. If your preparer promises you a refund before checking all of your paperwork, run as fast as you can. That preparer is going to be taking illegal or inflated deductions, and, when the IRS finds out, you're going to be the one who pays the bill, plus interest and penalties. Make sure you're withholding the right amount using TurboTax's paycheck analyzer. If the IRS is coming . . . If you are facing an audit, don't panic. 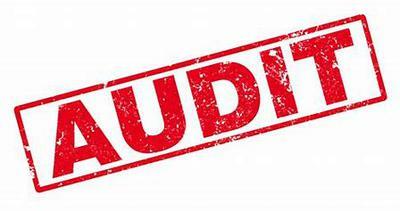 An audit is merely a process in which the IRS asks you to substantiate the numbers on your tax return. Call your tax professional. Or get one. If the audit is simple -- to prove your charitable and interest deductions, for example -- you can do it yourself by mailing in copies of your substantiation. For all in-person audits, I strongly suggest professional representation. Plan your taxes to pre-empt an audit. If, say, you have a huge medical deduction that you feel would increase your chances of being audited, attach copies of your medical bills to your return. The IRS computer might still kick out your return, but when a real person looks at it, the reviewer will recognize that you know the rules. This may actually reduce your odds of a full audit. Keep records for three years. Normally, the IRS can audit you for three years after you file your return. In reality, however, most returns are audited within 18 months. This gives the IRS time to do the review and request the appropriate substantiation before the statute of limitations (usually the three-year period) ends.